A bit of a different post today, but I think this is definitely worth sharing. If your skin is anything like mine, you understand how much time and effort is put into trying to get rid of your acne for good. I was blessed with rather acne-free skin until I became an adult. While all my friends and co-workers skin cleared up, mine just got worse...in fact...I ended up with a mixture of both normal acne and hormonally induced cystic acne. 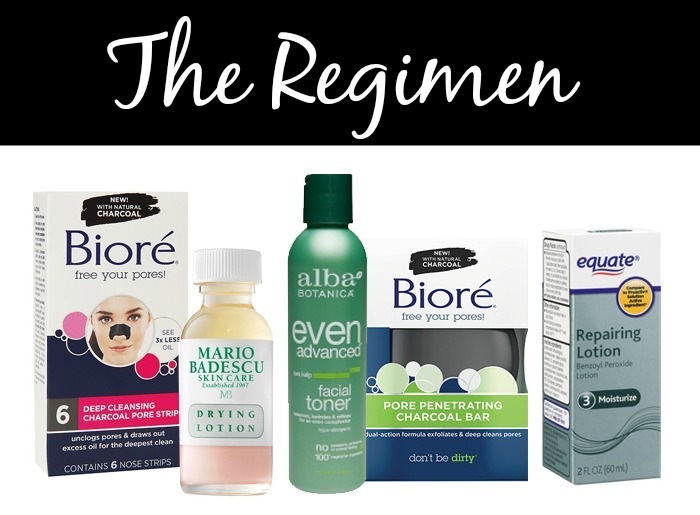 I first went through every acne regimen I could find on the shelves of my local store. When that failed, I turned to dermatologists. 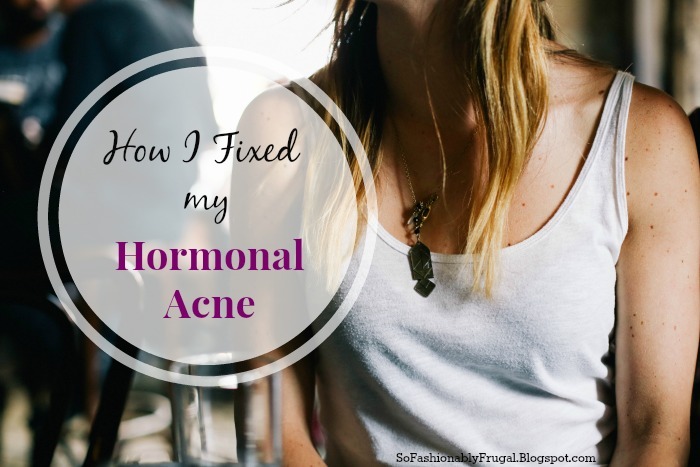 After going through multiple prescriptions and being told I was out of options, I felt that I'd be stuck with my hormonal acne forever. But thankfully, a few years later I stumbled upon a regimen that worked for me. Thanks to it, I've had clear skin for two months straight and counting! I've decided to share it with you in hopes that I can help those at their wits end with their acne. I can't tell you what in this regimen makes it work so well...but I really think it has something to do with the charcoal in the Biore products and Sulfur in the Mario Badescu Drying Lotion. Charcoal is known for it's ability to draw out impurities from the pores, and sulfur is known to have mild antibiotic properties that work great for acne sufferers. Oh, and before you guys look back at old posts and say I'm a liar, let me tell you that I worked my outfit posts around my acne, and when it would be its clearest. Plus, a lot of photo apps are made with blemish removers! 1) Wash face ONLY with the Biore Pore Penetrating Charcoal Bar. 2) After washing face, apply Alba Botanica's Even Advanced Facial Toner onto a cotton ball and rub thoroughly onto skin. The toner removes any extra dirt that was left behind after cleansing. You'll be able to see how much dirt was actually still on your face...and it's really gross! 3) Apply makeup that is only Non-Comedegenic. Some of my favorite brands are Neutrogena and Bare Minerals. 2) After washing face, apply Alba Botanica's Even Advanced Facial Toner onto a cotton ball and rub thoroughly onto skin. 3) Apply a nickel size amount of Equate Repairing Lotion onto face. 4) Using a Q-Tip, apply Mario Badescu's Drying Lotion onto any acne that is beginning to form. I place it on even some of the smallest bumps. You can easily tell where small ones are just by quickly feeling your face with your fingers. Use Biore's Charcoal Pore Strips on any areas of the face that you tend to break out or sweat a lot. I do both my chin and my nose. Charcoal has the ability to draw out impurities from your pores, which is very important! If you give this regimen a shot, please let me know how it works for you!